"The Ordeal of Dr. Shannon"
Rod Taylor played Dr. Robert Shannon in this installment of a 60-minute NBC anthology series. It was an adaptation of part of A.J. Cronin's best-selling novel, "Shannon's Way." Shannon is a brilliant American physician who abandons a career as a "society" doctor and resigns his hospital post to pursue research in a quest to find a vaccine against a deadly new influenza virus. He faces pressures from all sides -- from his friends, medical superiors and the woman he loves. The rest of the cast are British, including Scottish actress Elizabeth MacLennan, who plays his love interest and assistant. The show was hailed as something of a first in television production, as it represented joint efforts on the part of NBC (which supplied producer Lewis Freedman, property, cast and film editor) and London's Associated Rediffusion Ltd. (which provided the studios, sets, engineers, technical crews and director Joan Kemp-Welch). 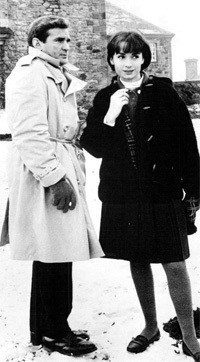 The show was filmed in November 1962 on location in England and Scotland. It aired in the U.S. on Dec. 16, 1962, as part of "Dupont Show of the Week," and in England on Jan. 4, 1963, as part of "ITV Television Playhouse." During his research, he becomes emotionally involved with a young medical student, Jean Law (Elizabeth MacLennan), and she becomes his assistant. ... Hampered on every side by unfair treatment and outmoded equipment, he eventually finds a cure for the flu only to learn that it had already been discovered in the United States a short time before. Between this monumental disappointment and finding out that Jean Law, with whom he is so very much in love, is going to leave him to follow her own desire to work in foreign lands, Shannon falls into a pit of despair. However, Jean realizes she really does love Robert and returns to him and they decide to go to the Continent and continue their joint careers there. The actual location filming abroad endowed this hour-long production with realness that could not be captured in a studio production. Rod's portrayal was finely etched, bringing forth a rounded character, both light at moments and containing timely emotional blackness. Rod describes two instances where the settings were truly realistic. 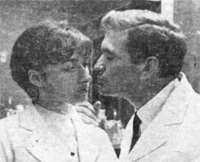 "For one scene we needed a laboratory full of authentic medical paraphernalia," Rod said in a syndicated newspaper article about the show. 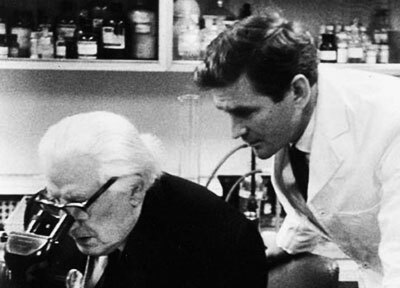 "It was borrowed from the lab in which Alexander Fleming -- the discoverer of penicillin -- did his experiments." Several key sequences were filmed during a four-day location jaunt to Scotland, including Edinburgh and around Loch Lomond and Ben Lomond. "Much of the plot concerns Shannon's battle against a flu epidemic during the coldest winter in Scottish history," Rod said. "We weren't sure how we could create the blizzard conditions called for in the script. Then we got to Scotland, where snow and hail were falling in buckets. In fact, the Scots say that this has been the worst winter they could remember. It isn't everywhere that a TV company gets that sort of cooperation!" Scottish actor Finlay Currie co-starred as Sir Wilfred Challis. Library of Congress (NBC Television Collection), Washington, D.C. 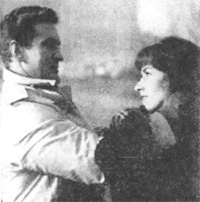 In a 1962 newspaper article about this episode, Rod noted the nice differences between making a TV show in Great Britain vs. Hollywood"
"The pace is more leisurely in England. ... At 11 a.m. and 4 p.m. sharp, everyone stops for tea -- even if we're in the middle of a scene. Tea and scones are brought in on silver serving trays, a pleasant switch on the Hollywood custom of gulping coffee out of a dirty paper cup." 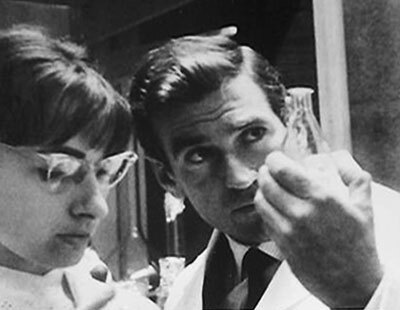 Rod was fortunate that the parents of his co-star, Elizabeth MacLennan, were both doctors. Her father tended to Rod when he came down with a virus and also when he badly cut himself during production.